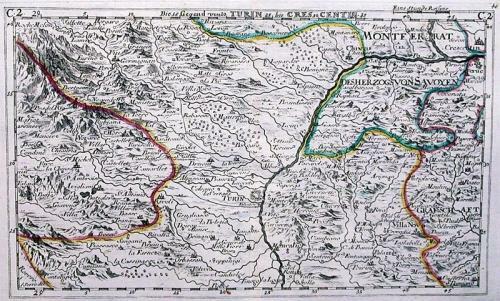 A 300 year old tourist map and guide of the countryside around Turin showing the network of roads and rivers and numerous towns and villages. In the top left corner a magnificent engraving of the alpine peak of Mt. Cenis. Scarce. Fold(s) as given.